As the services shift to “great power competition,” some on Capitol Hill are asking what that might mean for special operations forces. The top civilian over low-intensity conflicts, a long-held SOF specialty, and the new head of U.S. Special Operations Command told lawmakers this week that special operators will see the fight flip from how they’ve experienced the past two decades of counterterrorism and counterinsurgency warfare. “(Special operations) has grown accustomed to being the supported force,” said Mark Mitchell, deputy assistant secretary of defense for special operations and low-intensity conflict. There is a place in the mix for both conventional forces and special operations forces. The key is matching the balance to the mission, the commander of U.S. Army Special Operations Command said. He was speaking at this week’s hearing by the House of Representatives Subcommittee on Intelligence and Emerging Threats and Capabilities over the SOCOM budget request. Mitchell, also a retired colonel who spent his career in the Army’s Special Forces, receiving a Distinguished Service Cross for actions early in the Afghanistan War, said that will change. While SOF will remain part of the “contact” layer, or frontline of any potential fighting as laid out in the National Defense Strategy, its members will do more work building partnerships with allies to deter aggression by China, Russia or others. The layers include Contact, Blunt, Surge and Homeland. They were put forth in the most recent NDS to better identify how forces would be distributed in any potential clash between the United States and near peer competitors. 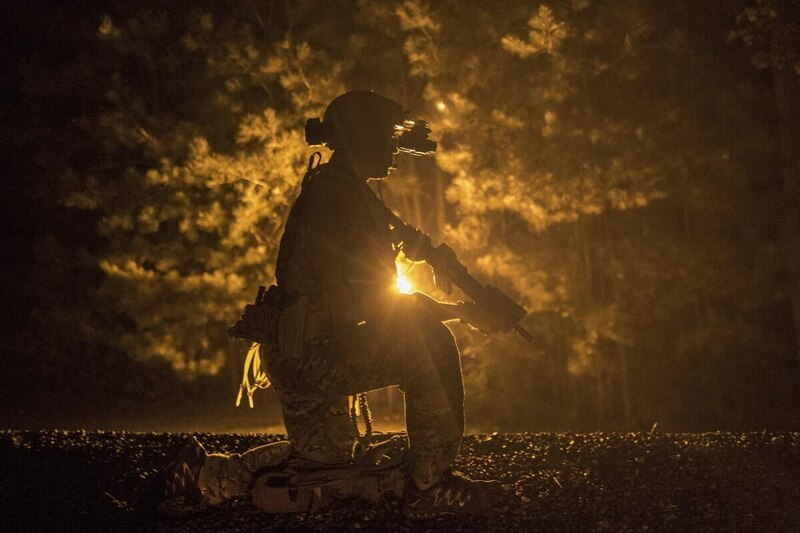 Missions of future SOF will see more competition below armed conflict but quickly shift to connecting all the facets of conventional war when bullets start to fly. “I think the special operations community is uniquely suited to build partnerships and allies across the globe to compete in peacetime and to be in a position should armed conflict arise to support our conventional forces, which will be a decisive force with Russia and China,” Mitchell said. A more detailed breakdown of what SOF will be doing in the future fight will come when their “roles and missions” report reaches Congress. The 90-day review was recently completed, said Gen. Richard D. Clarke, the new SOCOM commander. That will be sent to the Hill within a month. Clarke also told representatives that a key piece of the SOCOM mission will come through its use of Military Information Support Operations, or psychological operations, troops. Clarke pointed to a Joint MISO PSYOPs Center near their Tampa, Florida headquarters. They see it as a “global engagement center,” that would cut across the combatant commanders and align the SOF community to better counter dangerous messaging before situations reach the battlefield, such as propaganda and gray-zone aggression by the Russian government and military. It wasn’t until 2004 that the Joint Psychological Support Element was established, according to commentary from the first quarter publication of the Joint Forces Quarterly by author Army Lt. Col. Richard B. Davenport, then chief of training for PSYOPs at the Army’s John F. Kennedy Special Warfare Center and School. But even with great power competition looming and driving budget decisions and priorities, the dirty work of door kicking and targeting terrorist leadership and network nodes won’t necessarily go away. “The (NDS) calls for focus but recognizes that the fight against Violent Extremist Organizations is not going away,” Mitchell said. Clarke later responded to a question about SOF priorities by saying that counterterrorism remains the forces’ number one priority. While they’re continuing their mission and adjusting to the new strategic priorities, leaders are looking at ways to avoid exhausting the force. Mitchell told the subcommittee that this year 90 percent of the SOF force will be at a 1:2 deploy-to-dwell ratio, which means twice as much time at home as deployed. The goal is 1:3, he said. Clarke emphasized that the 1:2 is pretty much the minimum for the force and the 1:3 goal looks achievable in the next few years.